Dead bodies and all you can say is "haha um okay." The truth is, MOST people don't live in urban KC and don't want to. It appeals to some, but not to most. 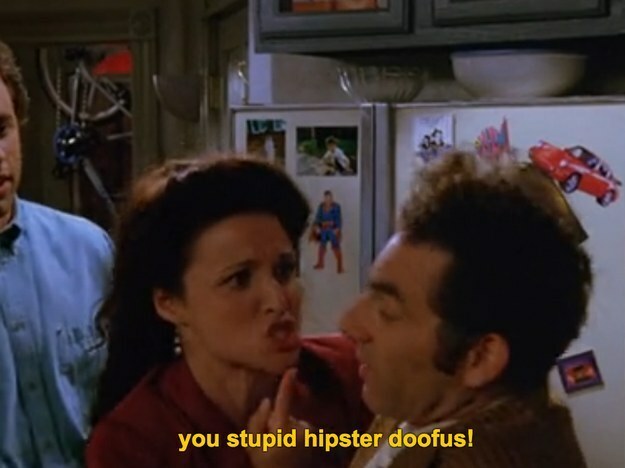 And when the hipster doofuses (credit: Seinfeld) mature, they move to the suburbs. Sure. Whatever you say. KC,MO or Pittsburgh or any other city anyday over Kansas. Better quality of life. Sorry, but better quality of life on the Kansas side! Always has been. Downtown/Westport/Plaza/midtown, northeast, NKC - been there, done that. A very small percentage of the population of the KC metro lives in downtown/Westport/Plaza. The rest live mainly in the suburbs. There was someone beat up the other night -AGAIN - on the Plaza by juvenile thugs. There was a body found at Westport and Roanoke two days ago. There was another body found floating in Brush Creek. Nice place, huh? Why don't you change your name to lovemissouri? And why'd you leave if it's so wonderful? You have a great talent for grasping how things are. You are so right about this. Up until probably the 1960s most mid size cities, urban areas were still probably good, safe, and had quality of life. That time is long passed though and will never be again for the urban areas. While fun to do things during the day or night spots, explore "ruins" of buildings and neighborhoods, at night it's time to go back to "quality of life" living. About the airport, one would think Kansas's thoughts of building a new terminal at one of their existing airport grounds would get the city to move on building a new terminal at KCI, it probably won't make the city or it's voters do the right thing. It is such a shame that the airport's future is based solely on the voting of uninformed, uneducated, unintelligent, and zombie residents of KC. Wow, I feel like I'm interacting with some rural old folk here. Are you people serious right now? Are there really this many people in KC that think like this. When I think of people from KC, MO, opposing upgrading KCI, I think of people afraid of higher taxes. Afraid of spending money they don't have. Now you sound like kcmo. If someone disagrees with you, make yourself feel superior by calling them hillbilly, rural, backwards thinking, etc. Oldest trick in the book - trying to make yourself look better by putting others down. Pssst - it doesn't work. To you maybe. Not to most. I guess it's good you are in Brooklyn, huh? I have lived all over Kansas City, Missouri. I prefer to live on the Kansas side. It's nicer and there is less crime. I know - horrible, right? Cool places like The Country Club Plaza help make it seem cooler than it really is - the neighborhood we saw in person yesterday - Oak Park Southwest - tells it how it really is - kind of ugly and depressing. The Plaza area's architecture and smart planning from long ago has paid big dividends for business owners and patrons of these businesses for years. I don't see it's popularity ending. But there's a lot of ugh in urban KC - having said that, it looks as if urban KC is not as nasty as urban St. Louis, eh?